Highly regarded films, movie discussions, opinions and previews. 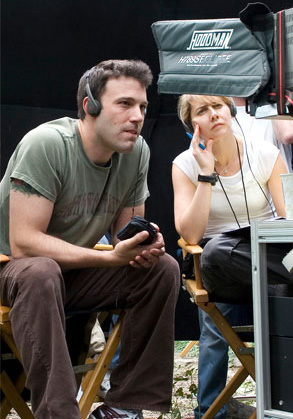 Actor and now legit director Ben Affleck is directing and close to wrapping his third feature, Argo, for producers George Clooney and Grant Heslov, who also serve as screenwriters as well. The film tells the story of a CIA operation to save six ambassadors during the 1979 Iran hostage crisis by faking a production for a large-scale science fiction film. Oscar nominee Rodrigo Prieto ( Brokeback Mountain ) is handling the cinematography on the film. September 24 2012 is when the movie is set to be released. Best CISCO Certification Training in India. Online gambling is a great bet for gamblers and is an investment game that is easy to get into. Golden slot Just sign up to be a member of the site, we will be able to experience the gambling online casino is a novelty here. In this online gambler, the player who comes to play online casino games with us today, the gambler will receive a lot of bonuses and is another good choice for gamblers who want to make money. Extra It is a highly profitable investment gambling game. สล็อตออนไลน์ Investors who are thinking to invest online next time, do not forget to use the service with our online casino games site here. Of course, when the gambler comes to invest with us, investors will be satisfied with everything you want to do here. Gclub69 online gambling. There is a great team working with the ability to provide services to everyone is absolutely perfect. We also have a great selection of popular gambling games that investors are passionate about and choose to play the most. There are satellite broadcasts directly from the gambling casinos in Poipet. Started to really pay attention to film ( movies ) what was going on in front of the camera, but more interestingly, behind it as well at about as far back as age 10. Motion pictures ( when good ) are a fascinating medium. All the work and prep that goes into filmmaking. It's an amazing process ! My goal is to bring information that isn't widely known or spoken about yet at the water cooler concerning movies. I try to be original and attempt at coming up with my own information before I may venture to see what everybody else is buzzing about on other movie sites. I'm not a hack who doesn't know what he's talking about. I truly believe there are people out there that don't need a film studies degree from University or film school to be knowledgable about film, as I have actually studied film as a hobby for over 30 years. I paid keen attention to detail, not even fully realizing I was at a young age. Not just what the movie is about or who is starring in it, but what really makes a movie work and that is the behind the scenes people; the director, screenwriting, the cinematography, the production design and editing. All of those have interested me since I was not even yet a teen. So that's what this site is about, just someone who has always loved film more years than I have been alive than not. Are you reading today ?